Looking for an inexpensive and easy way to make homemade laundry soap? This process takes about 10 minutes and you don’t have to grate soap! 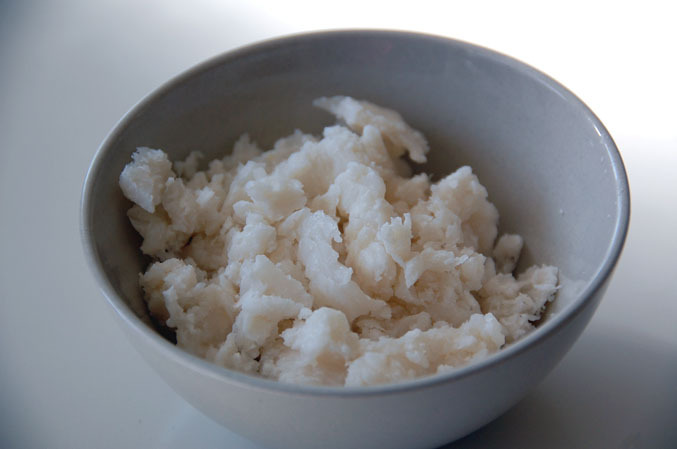 Homemade laundry soap is also very inexpensive to make and won’t fade your clothes like detergents can. What you’ll need: 1 Bar soap, 1 cup borax and 1 cup washing soda. 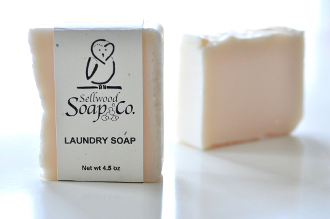 When choosing a bar soap, look for one formulated for laundry. It should be high in coconut oil as coconut oil soap rinses very well. Our laundry bar will melt, though not all soap bar recipes will. Some laundry bars like Fels Naptha have very strong synthetic fragrances, so beware if you have sensitive skin. Step 1: Put bar soap in a large bowl (it gets fluffy and can rise out of a small bowl) and microwave for about 4 minutes at 50% power. Step 2: Stir the melted “fluffy mush” with a fork and let dry but not harden completely. It will dry into brittle crumbles that can be put in a blender or food processor. 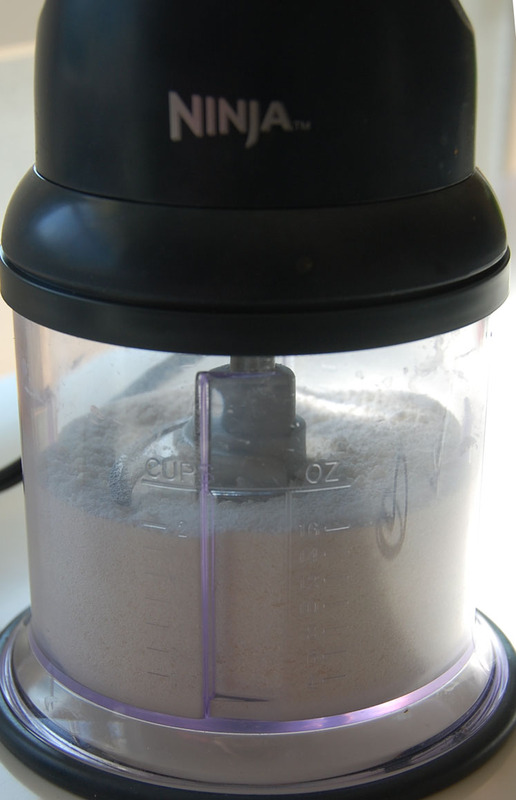 Step 3: Combine soap crumbles, washing soda and borax in a food processor. If your food food processor is small, just process the soap crumbles and combine them all afterwards and shake well. Step 4: Store in air-tight container (yogurt containers and mason jars make great laundry soap containers). Use 2-4 tablespoons per load, added directly to the load. To soften clothes, use vinegar in the rinse cycle.